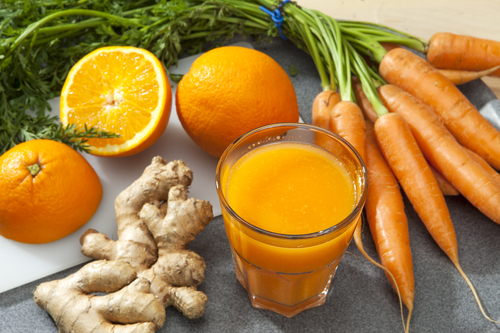 Fresh juice has become popular, thanks to its delicious flavors and health benefits. At BeWies Holistic Market, located in the heart of Armonk, NY, you’ll find a staff of experts on healthy eating, as well as a great selection of healthy smoothies and a top-notch juice bar. Their beloved juice bar offers fresh pressed juice as opposed to cold pressed to better serve customers. A fresh pressed juice bar offers juice blends on the spot. With so many options, you’ll have the opportunity to enjoy a custom-made beverage to your exact specifications. Plus, a fresh pressed juice requires less fruit than cold pressing, providing a more cost effective but equally tasty option to customers. Don’t be afraid to order off the menu based on the fruits and vegetables stocked at your local juice bar! Juice is packed with the most vitamins and nutrients immediately after they are made. Since a juice bar can press juices to order, you’re guaranteed a fresh drink chock full of nutrients. Best of all, a fresh pressed juice bar can provide fast service. A fresh pressing machine instantly pulverizes fruits and vegetables into a tasty beverage. If you’re on your way to work, you can have your juice within minutes. Quick service and instant gratification make a fresh pressed juice easy to incorporate into your daily routine. You can enjoy your daily dose of vitamins and nutrients without any issues. If you live in the Greater Armonk, NY, area and you’re looking for a tasty juice bar offering fresh pressed juice and healthy smoothies, call BeWies Holistic Market today at (914) 273-9437 to speak with a helpful member of their staff. To find out more about the healthy eating options available at this juice bar and market, check them out online.